We've helped thousands of clients to have their UK and Irish documents attested, and haven't once had a document rejected in Vietnam. 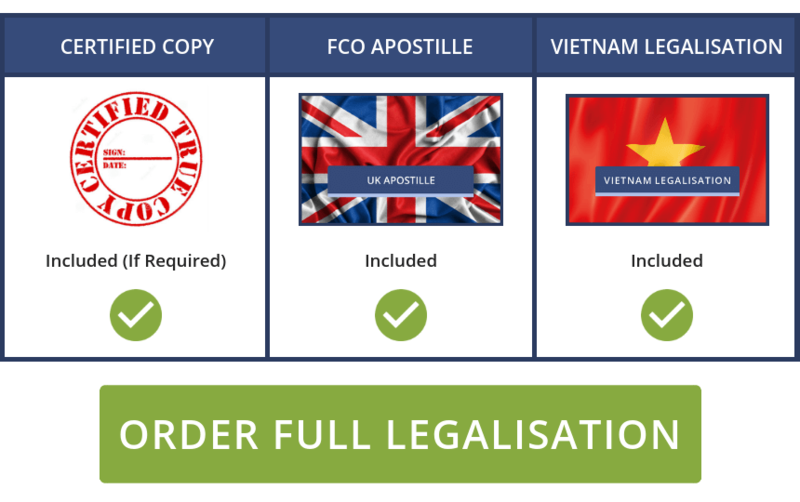 Using our Vietnam Legalisation service gives you complete peace-of-mind and ensures that you get what you require in a timescale to suit your needs. 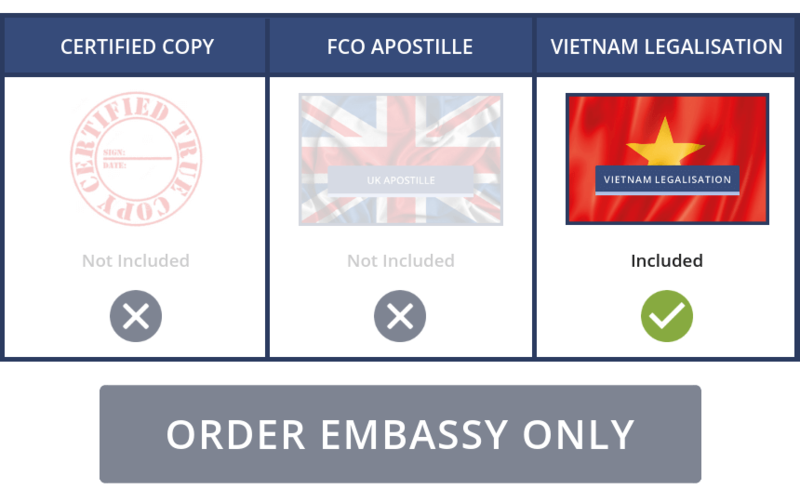 Our friendly and expert team have years of experience and deal with the Vietnam Embassy in London on a daily basis, so they're fully aware of the steps required to make sure your certification goes smoothly.